This is an authentic engraved silver container and is handmade by a Moroccan artisan. The container is artistically and skillfully decorated with engraved floral and wavy motifs. 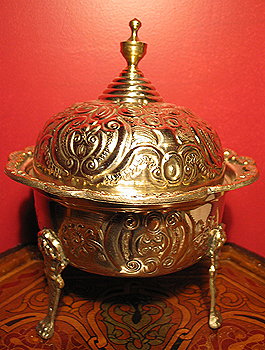 It is traditionally used to hold tea or sugar during a Moroccan tea ceremony.